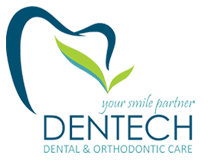 Dentech is a Dentistry Clinic in Malegaon, Nashik. The clinic is visited by doctors like Dr. Bhushan Patil and Dr. Sumedha Patil. The timings of Dentech are: Mon-Sat: 10:00-21:00. Some of the services provided by the Clinic are: Oral Medicine,LASER dental treatment,Root Canal Treatment (RCT),Gum Disease Treatment/ Surgery and Teeth Straightening etc. Click on map to find directions to reach Dentech. Thank you so much maharaj for you kind words and support!!! Jai Shree ram !!! Nice experience after giving treatment. Good suggestions given by doctor.for poor people also helpful. But OPD patients wait more time .appointment if possible given by proper time. Thank you so much for you kind words and feedback!!! We will definitely work out on opd waiting time !!!! Dr. Pawar is very good doctor in malegaon city. He is take care of patients with love as a family member. I like the dr. Pawar. Thank you sir. Thank you so much sir for your kind words and support!!! !